Spent the day in the deep marlin fishing. Hooked a BIG blue marlin first thing but after a series of impressive lunges she came unglued. She was too fat to get all the way out of the water so she lunged more than she jumped. We manged to catch whitey and missed the sail. Meat fishing was really slow around the fleet today we manged just one dolphin out of 3 or 4 bites. It didn't sound much better for those that spent the day looking for them. 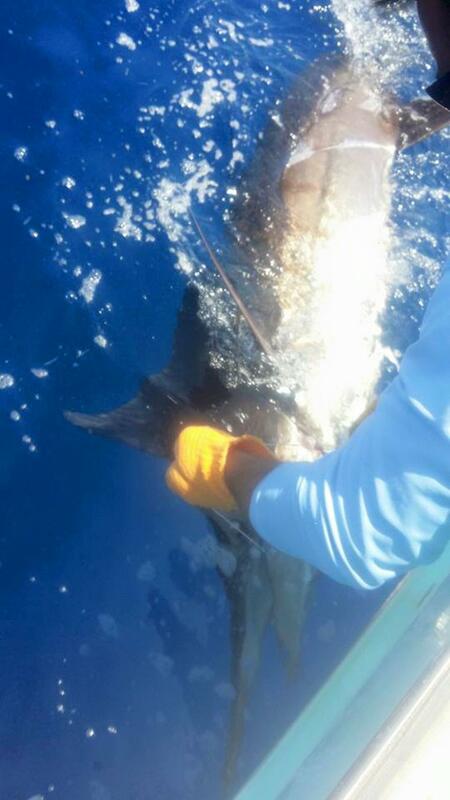 Anyway its always a good day on the water when you see a 500lb+ blue marlin.